A few years back, I became Right Source Marketing’s chief content officer. While that has meant a lot of different things to a lot of different people, for me, one of the key things it has allowed me to do is to put huge focus on planning, both for our company and our clients. I lead lots of content-driven marketing planning engagements — in 2015 I touched 13 different plans and drove implementation for a handful of others, ranging from funded startups to mature technology services businesses. The point? I love these plans, can’t overstate their importance to certain types of growing businesses, and have little tolerance for people and companies who don’t see the value in a thoughtful content marketing planning exercise. Planning doesn’t come without it’s ups and downs, and we’ve worked hard at Right Source to constantly evolve and improve our plans. So along the way, I’ve learned quite a bit about what works and what doesn’t, what to do and what to avoid. Here is some of what I have learned that might help you create and execute on a kickass content marketing plan. If you have a partial plan, you have no plan. I’ve seen quarter-baked plans, half-baked plans, and over-baked plans…120-slide plans, 10-page plans, and thoughts-in-my-head plans. Here’s a simple barometer for the completeness of your plan. If you review your plan, and you don’t even have a sense for what you’ll be implementing 30 days from now, you don’t have a complete plan. If priorities, direction, and next steps are missing, you just have information. And information is not a plan. Finish your plan, man (or lady). Don’t be the lazy planner who mails it in when you get to the tough parts. At least for us planner types, a truly complete plan is a thing of beauty, and will make implementation so much smoother. Make sure you are building a plan, and not just a content marketing strategy. Do you know the difference between a strategy and a strategic plan? If so, you’re in the minority. Strategy is not planning. Strategy is what you are going to do to achieve a set of objectives, planning is how you are going to do it. I know some damn good strategists. I also know some damn good planners. I don’t know more than three people who I’d consider damn good at both. But that’s beside the point. Don’t let anyone — whether it be your CEO, a consultant, or an agency — lure you into a strategy without a plan. 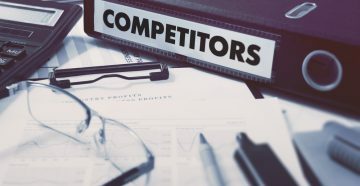 While I am not going to suggest that strategy is easy (I do quite a bit of it, after all), it will not actually get you from point A to point B, which is what most companies are after. A melting pot may not be a bad idea. Once upon a time, I did a few content marketing plans largely on my own. When I look back at them now, they kind of sucked. They worked and were received well, but they were fairly shallow compared to what we do now. 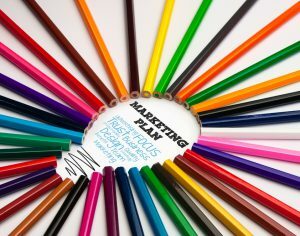 When I work on plans now, they include at least one marketing strategist, one content strategist, one marketing-oriented researcher, and one writer with subject matter expertise, and one marketing technologist. Many of those roles are crossover roles, which makes the final output even better. I am not suggesting you invite every department to participate in your content marketing planning process. 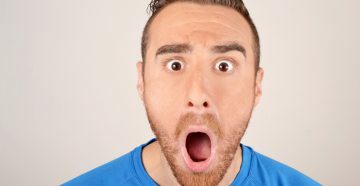 Your accounts receivables guy and chief technology officer probably don’t belong on your team, nor should they want to be on your team. At a bare minimum, remember that input from a group of content and marketing specialists can’t help but make your content marketing plan that much better. Business first. Marketing second. Content third. While your content marketing plan may seem like a fairly isolated project, it shouldn’t be. It should be built from the top down, not the bottom up. All that means is that your business goals and objectives come first, marketing second, content third. If you can’t look at this plan when it’s done and say to yourself, “This will impact my business’ primary goals for this year,” then you may not want to proceed. Place an inordinate amount of focus on the how, not just the what. Most small-to-medium sized businesses are not built for content marketing. Few large business are built for it. Especially if content-driven marketing is new to your company, it will be met with some natural skepticism. Most will not argue that it’s the right approach, but many will question how it’s actually going to work given the sea of other priorities. This is where you have to move from strategy to planning and get into the details. The most important details surround the question of who is going to do all the work. Who will serve as the executive sponsor and project manager? Do you have writers and editors in house, or will those folks come from the outside? Will you use an agency to help you get started? If the plan will involve work cycles from current employees, how are you going to free up the time in their already busy schedules? When we build content marketing plans, we spend an inordinate amount of time figuring out the how, because without the how, the what doesn’t matter. Don’t predict the numbers, but do set expectations. What kind of results can I expect? And when can I expect them? Ah…the numbers question. It’s bound to come up, and if it doesn’t, someone may be asleep at the wheel. My recommendation? Don’t prognosticate about specific numbers. My blanket answer is that we’ll start to see some progress in the first three months, but probably can’t make any legitimate judgments until we’re 4-6 months in. Extend that time period even longer if you developed a half-assed plan. Do set expectations about the volume of content, types of content, tactics used to market content, and other categories that are under your control. Many won’t be excited about your unwillingness to predict results, but if you can predict activity in place of results, most will be satisfied … for a few months. By the way, it’s already 2016. Get cracking. I’m not going to be the guy who tells you it’s absolutely too late to put together your 2016 plan, especially considering we only finished our own content marketing plan two weeks ago. But if you’re trying to create a plan that will impact your 2016 business goals and objectives, you better get after it and soon. Because marketing without a plan will have you wondering at the end of the year why your efforts were so ineffective. Need help getting started? Download “Build Your Content Marketing Plan: A 10-Step Guide” for tips that work. For more guidance, get in touch. 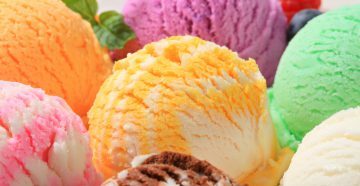 The 7 Flavors of Content Marketing: What’s Yours?